Dale and I just celebrated our 5th Wedding Anniversary! Dale and I just celebrated our 5th Wedding Anniversary this summer! 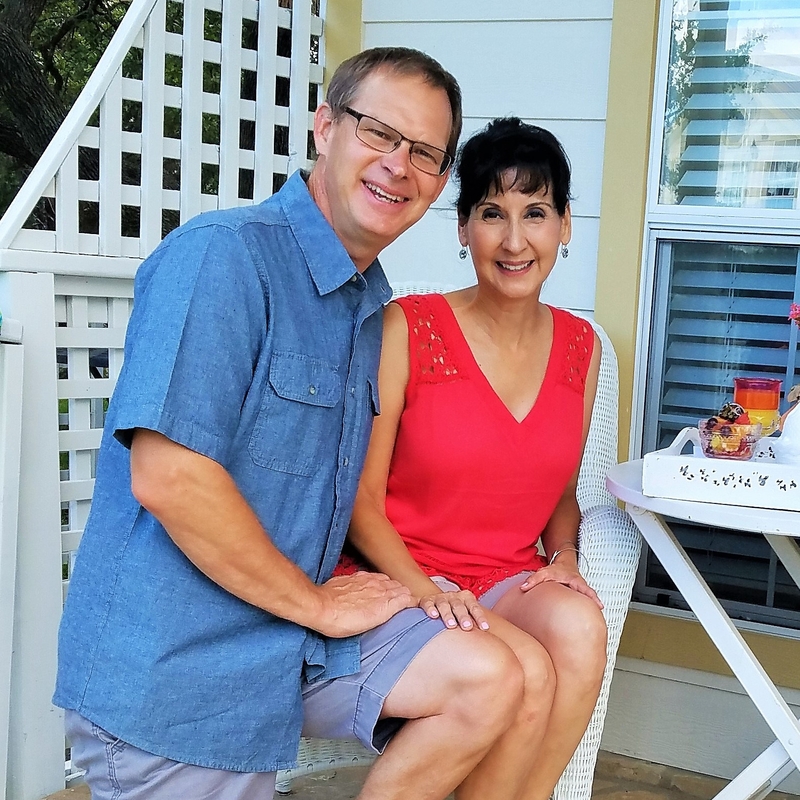 We took a little road trip and stayed at a bed and breakfast in Wimberley, Texas and had a wonderful time! Believe me, a much needed break! We have more to celebrate! We found a home! It’s a single wide mobile home, 3 bedrooms 2 baths. Ironically the Model is the “Anniversary”! The make is Clayton Homes and the “Anniversary” is in honor of Clayton Homes 60th anniversary in business. Happy 60th Anniversary to Clayton Homes! So let me tell you, there are so many things I love about this floor plan! The master bedroom has a separate shower and tub, plus a double sink vanity. The utility room is its own room. Yay! Love that! The kitchen has recessed lighting, a nice farmhouse sink and cabinets that go all the up to the ceiling and a patio door! The windows in the living room are the transom style windows which I really like. The living room also has built in shelves! When Dale and I first viewed the Anniversary we noticed right away the nice touches this floor plan had to offer! We both knew right away this was the home for us! Special note, Dale and I have been so busy working on getting our lives back together after the flood. It’s been really hard for me to keep up with my blog. So much more I would like to share but for now I wanted to give you an update on what’s happening at the Phillips Place. Thank you for taking the time to read my blog. You are two of the most deserving couple i know…You two have been through so many trials,,,God is Good..I wish you many more years together and all the happiness you can handle. Thank you Cindy! Thank you so much for encouraging words and thank you so much for subscribing to my blog, I appreciate it very much! Good morning and Happy Anniversary! I’m so glad to read that things are turning around for the better. Will you move your new home to the same location as your previous home? Hi Kathy! Thank you! I am looking forward to catching up on what you have been doing! It’s been really hard to blog and keep up with others when you don’t have your own space or Internet. Lol! When you’re home be ready to come to your land? Hoping this week! I will keep you updated! Keep the blog going so we all can see you transform the “Anniversary” home into a Living/Loving Place! Enjoy your blog and remember, God is good! Congratulations on your anniversary and your exciting new home! It will be a blessing to move right in and start living. I’m sure you will still find plenty of projects to make it your own, as I can tell you two are a very creative couple. How fun! Thank you Amy! You are so right! Gotta have some projects! Lol!